2000 square foot building located downtown Yorkton. Reecently operated as a Sushi House with kitchen equipment and seating part of the purchase price. The property has been extensively renovated to include flooring, electrical and ventilation. 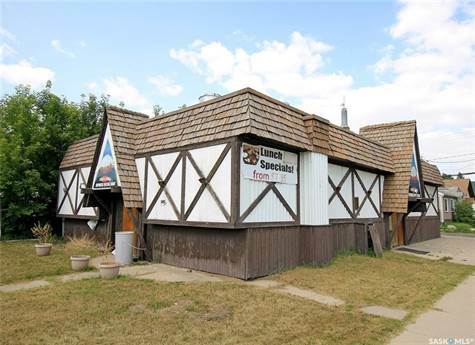 High traffic and very visible the property is located in an excellent retail environment. Property can be converted easily to accommodate your business, seller is willing to negotiate the equipment to be or not to be included. Yorkton is located along the Trans-Canada Yellowhead Highway #16 in east central Saskatchewan between Saskatoon and Winnipeg. It is 188 km northeast of Regina on Highway #10, Yorkton is 85 km west of the Manitoba border and 322 km southeast of Saskatoon. Other highways intersecting the City are Highway #9 from Hudson Bay to the US border & Highway 52 from West Central SK. Seller is also open to negotiating a lease agreement if preferred.